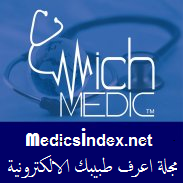 Ø Jordanian Board of Psychiatry, (average very good). 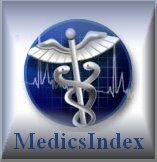 Ø M.D (General medicine & surgery) average, very good. Ø Jordan chief of the Earl Career Psychiatric Association, Part of the world psychiatric association.WPA.(prev.)(ECPA). Ø Member of the World Psychiatric Association.(WPA). Ø Member of the Jordanian psychiatric association. 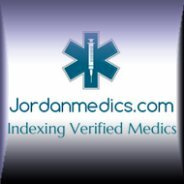 Ø Member of the Jordan medical association. Ø Member of the International Mental Health Collaborating Network, Paris, France.(IMHCN). Ø Member and facilitator of the joined project, Ministry of Health and the WORLD HEALTH ORGANIZATION(WHO) .Amman Jordan.(prev). Ø Facilitator and trainer, in mental health, in collaboration with JORDAN NURSING COUNCIL and the World Health Organization.(prev). 1. Study visit to Italy, (Torino) in the biopsychosocial methods, and community mental health services, march 2009. 2. Study visit to Italy (triest) on the community mental health services, Feb, 2010. 3. Workshops, at the international meeting (toward a global network of community health) 9-13 February 2010 at san Giovanni, Italy. 4. Training of trainers with United Nations office on drugs and crimes (UNODC), EGYPT, 2010, on screening and brief intervention, theoreticl training.). 5. Training of trainers with the United Nations office on drugs and crimes, Lebanon 2010, practical training. 6. Participated in the MEDNET regional seminar, drug addiction, treatment approach and demand indicators,CAIRO.EGYPT,22th -25th march 2010,in collaboration with the United Nations Office On Drugs And Crimes, Council of Europe, Pompidu Group, Egyptian Ministry Of Health. 7. Training course on case management and principles of recovery in community mental health services (part one, in collaboration with the world health organization and the Jordan nursing council).conducted by British trainers. 8. Training course on mental health and post traumatic stress disorder. 9. Training course on case management and principles of recovery in community mental health services (part two, in collaboration with the world health organization and the Jordan nursing council).conducted by British trainers. 12. Training course on the primary care physicians at the correction and rehabilitation centers. 13. Regional-workshops on the IASC guidelines, facilitated by the EMRO. East Mediterranean Regional Office. 14. Workshop on the child abuse facilitated by the MOH. 16. International training on mental health and human rights. 17. Workshop with alhikma pharmaceuticals, dead sea, april, 2012-05-06, launching the new product pranza. 18. Participation at the second international congress on psychiatry,june,2012,amman,Jordan , as amoderator,and presenter of a scientific lecture on addiction. (addiction is a conflict between desire and will),with dr. Nayel Al Adwan. 19. Participation at the 6th royal medical services conference,at dead sea,November,2012. (24 training hours). 20. Training course in EEG, at the Jordan university hospital. 21. Presenter of a lecture on depression, at workshop in Taba Egypt,in collaboration with abusharief drug store.october,2012. 22. Training on child psychiatry ,evaluation ,and holistic management, with Dr abdel majeed samrai, a well known child psychiatrist at the university of Jordan. 23. Plus other training courses in general medicine. 24. Attended a lot of mental health clients, workshops. 1. book on violation of human rights in inpatient and out patient psychiatric facilities at the kingdome of Jordan. In collaboration with dr nayel al adwan,for the grant of amaster degree on humnan rights. (PENDING FOR PUBLICATION). 2. A lot of lectures and seminars on psychiatric disturbances and addiction. 3. Newspapers interviews on various mental health issues. · Resident in psychiatry .at the national center for mental health. · Working at Al-Salt correction and rehabilitation center. · Working at the family protection directorate. Ø Facilitator for the Iraqi delegate(trained at the biopsychosocial model in psychiatry). 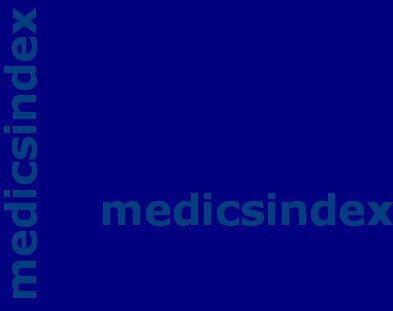 Ø Facilitator for the second Iraqi delegate(trained at the biopsychosocial model in psychiatry). Ø Worked at the national center for addiction and rehabilitation, DR. of addiction, and trainer on addiction. Ø December 2012 till January 2016, working at Mutmaenah private psychiatric complex with Prof . DrTareq Al-Habib in Al-Riyadh, kingdome of Saudi Arabia. Ø February 2016 up to now, working at The Horizon Clinic, Amman, Jordan. 1. Director of a community primary health care center. 2. Member of the bio psychosocial team managing clients in a holistic way(both Jordanian and displaced Iraqis .Part of the joined project ,ministry of health and the world psychiatric association. 3. Doctor of psychiatry (the first doctor of psychiatry at the first community mental health center) evaluating client both new and known cases Diagnosing of all age group diagnosing and prescribing medications in collaboration with other members of the bio psychosocial team. 4. Evaluating client with addiction in collaboration with the psychosocial staff . 6. Consultations for other medical branches . 7. Working at correction and rehabilitation center (monitoring and evaluation of prisoners; managing psychiatry cases in collaboration with psychologist . 8. Working at the family protection unit ,evaluating both abused and abusers in collaboration with social workers . 9. Coordinator of the specialized scientific day, for residents of psychiatry. 10. Coordinator of the specialized scientific day, for other technical staff (social workers, nurses, pharmacists, occupational therapists). 11. Coordinator and trainer for the medical students, at the national center for mental health. 12. Coordinator for the quality control of medical psychiatric files, at the national center for mental health. 1. Human rights implementation at service user's facilities, currently working on research regarding this issue. 2-Rehabilitation of service users of the addiction centers. 4. 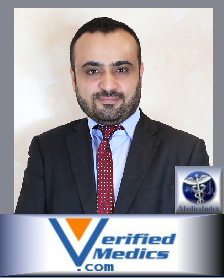 Dr.Walid Sarhan, prof.of psychiatry, private sector 00962796200711.